1. 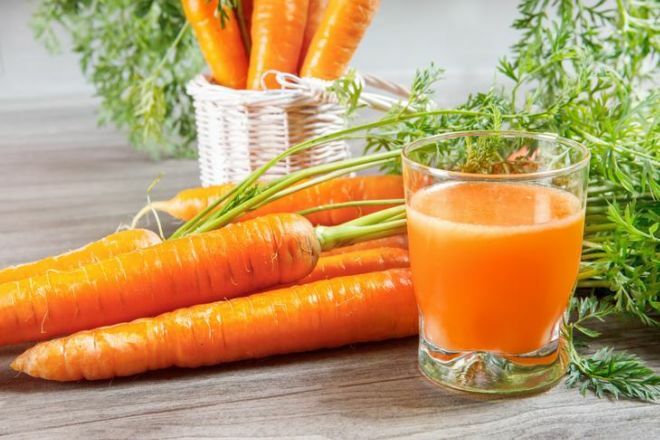 Combine the carrot juice with a carrier oil like coconut or olive oil and apply the mixture liberally to your hair. 2. Wrap your hair in plastic and let the mixture sit for about an hour. Then rinse with apple cider vinegar. You can repeat this the next day if the color isn’t strong enough. 1. Mix the beet juice with a carrier oil and apply the mixture liberally to your hair then wrap your hair. 2. Let the mixture sit for about an hour before washing it out. 1. Mix 1/2 cup of henna with 1/4 cup of water and stir the mixture until it’s completely combined and feels like the consistency of mashed potatoes, adding more water if necessary. 2. Once done, cover the mixture with plastic wrap and let it sit for about 12 hours. Take note that you may need to add more water after the 12 hours so that it can be applied to your hair. 3. Then, wash your hair without conditioning it. 4. Wear a headband and apply an oil, like coconut oil along your hairline. 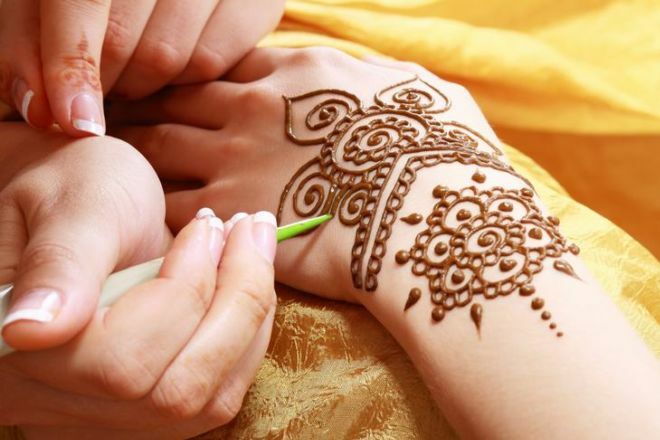 This step is required so that the henna won’t stain your skin. 5. Then, apply the paste mixture to small sections of your combed, damp hair until all of your hair is covered. 6. Wrap your hair in plastic and let the color set for at least two hours, and up to six before washing it out. 1. Pour the lemon juice into a spray bottle. 2. Spray the juice liberally onto your hair. 3. Use a comb to spread and separate the juice evenly through your hair. 4. To get optimal results, sit outside in the sun. 5. Prior to washing it out, leave the lemon juice to sit for at least an hour. 6. You can do this a number of times in order to get rid of the desired effect if necessary. Bear in mind that the lemon juice method works slowly and will require a few repeat sessions. 1. 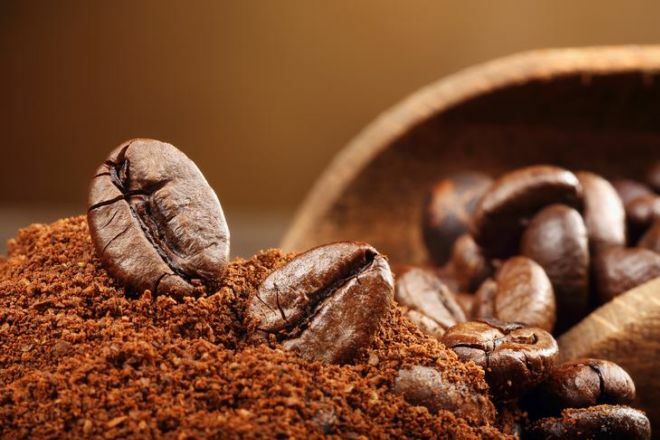 Brew a strong cup of dark-roast coffee and mix 1/2 cup of coffee with 2 tablespoons of coffee grounds and one cup of leave-in hair conditioner. 2. Apply the mixture to clean, damp hair then let the mixture sit for at least an hour and wash it out when you are done. Bear in mind that coffee won’t provide a drastic change to your hair and it won’t last for long. But if you need a quick and affordable boost then it’s a good option to try. 1. Steep between 1/2 and 1 cup of dried sage in a quart of boiling water for at least 30 minutes. Bear in mind that the longer you let it steep, the darker the tint could be. 2. Let the water cool and strain out the sage. 3. After you wash and towel-dry your hair, pour the sage over your hair for as long as possible, then let the tint develop for at least 15 minutes before washing it out. 1. 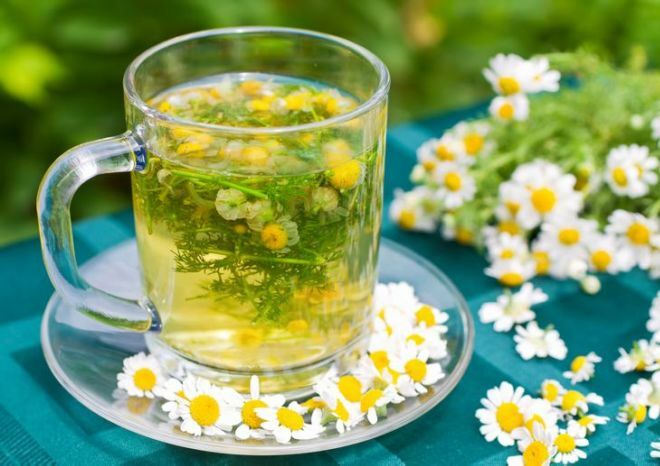 Steep 1/2 cup of chamomile flowers in boiling water. 2. Let the mixture sit for half an hour to steep and cool and then strain the flowers out. 3. Once you have washed your hair, pour the brewed tea through your damp hair at least 10 times. 4. Wait for about 16 minutes before washing it out. While you can use this treatment once, it is most effective when used at least once a week in order to maintain a beautiful, bright color. How to make the color of natural hair dye last longer? 1. Keep the use of hairdryers, straightening and curling irons to a minimum. 2. When you use hot styling tools, apply a thermal protectant to your hair. 3. Avoid taking hot showers and skip washing your hair whenever possible. 4. Ideally, use a water filter in your shower which can help filter out color-draining chemicals like chlorine and heavy metals.